Kansas was known for violence and bloodshed in its early history. The intense and bloody rivalry between abolitionist and pro-slavery forces earned the territory the nickname of “Bleeding Kansas” even before it was granted statehood. Even after conflicts over slavery were a thing of the past, Southeast Kansas in particular was known as a rough and tumble area. 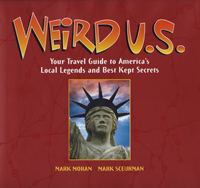 One case in early Kansas history rises above all others in terms of being gruesome and bloody. It is a tale of deception. It is a tale of greed. It is the tale of the mysterious, murdering Bender Family, of Cherryvale. 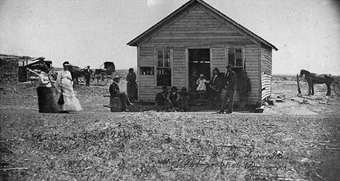 The Benders, a German family consisting of a mother, father, son, and daughter, settled just northeast of the miniscule town of Cherryvale, Kansas in 1870. They built a small inn for travelers who, while passing through, would need shelter and food for themselves and their horses. With so many settlers making their way through the relatively young and unsettled state in those days, innkeeping was a lucrative business. But apparently it was not lucrative enough for the Benders. They decided to supplement their income through incredibly treacherous means. When travelers would enter their home, the Benders would position them at a dinner table with their backs to a canvas curtain. 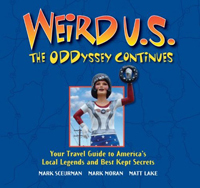 While engaged in conversation, usually with the young and attractive Kate Bender, the unsuspecting traveler would be set upon by one of the two Bender men. He would emerge from behind the curtain with a hammer, raining blows down upon the skull of his victim. Then, all four of the Benders would loot any money and possessions on the victim’s person, would slit his throat and mutilate his body, then would dump him through a trap door into a well-like enclosure beneath their house. Later, under the cover of darkness, the body would be removed and buried in the Benders’ orchard out back. Soon the Benders craved more victims, and began preying upon the townsfolk of Cherryvale. Kate Bender hung posters in town proclaiming herself “Prof. 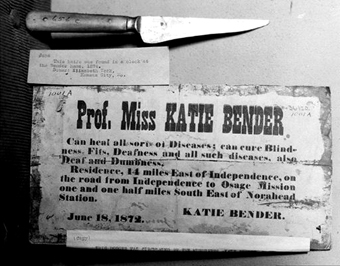 Miss Katie Bender.” She claimed to have supernatural powers that allowed her to cure blindness, deafness, and other infirmities. She also claimed to possess psychic abilities, including the power to communicate with the dead. When she would rope in those hoping to heal their diseases or contact their deceased loved ones, the Bender men would set upon these hapless victims in their usual manner. There were others who in hindsight realized they just narrowly escaped being killed by the Benders. One man, William Pickering, refused to sit with his back to the canvas because it had stains all over it at the height of a seated man’s head. Kate Bender became angry with his protests and threatened him with a knife, at which point he fled the premises. A Catholic priest stopping at the inn told the Benders he had to tend to his horse after he saw one of the male Benders hiding a large hammer in the room out of the corner of his eye. He rode away and later realized how lucky he was. The Bender murders quickly became national news, and rewards totaling in the thousands of dollars were quickly offered up for their capture. Surprisingly, the fate of the Benders is unknown. Rumors quickly sprung up that a posse captured and hanged all four members of the “family” (who today are believed to have not been related at all.) Apparently this was just conjecture, and no such posse found or killed the murderers. Perhaps because of these sensationalistic and widespread claims, the Benders were able to avoid the long arm of the law. In the early 1880s two females thought to be the Bender women were brought from Illinois to Kansas, but were released after a short period, as it was impossible to prove that they were in fact part of the murderous cadre from years before. Some rumors say that the Benders were killed by other criminals. Simply put, the fate of the Benders remains entirely a mystery.